Now, in year 2012, we notice that Nature's organic systems have advanced .....and is sending social chemistry data signals in the economic format of credit card charges. Nature's has economic accounting systems with the organic molecules of humans ..... humanoid thoughts of financial system structure. Could Nature create this organic economic system? Let's consider organic chemistry as a parallel system with parallel financial EVENTs and ..... the Wall Street Journal newspaper as containing some messages on organic molecule activities VIA humanoid agents. the metabolism-director of adults and their brain molecule activity .....such as financial decisions. equation WORD: proxy = pro + oxy = Base 16 hexadecimal protons of the oxygen molecule with mass 32. The bio-computer LUNG = LU + NG = Logical Unit Nitrogen Gas component ...with the LU addition of IBM bio-computer BASE 16 oxygen gas ...a component of Computer Earth system 370 and Boyle's laws of hexadecimal gases with COMPUTER WORD 32 molecular mass 32. 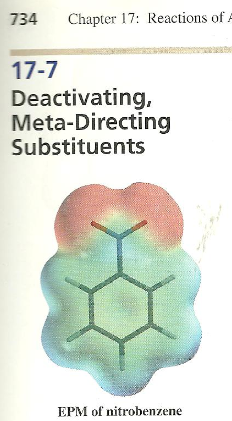 Thus we are saying...the meta-director concept ---> applies to metabolism ...thus the metabolism-director of organic molecule social life.......organic molecule political life ...and organic molecule economic activity. The usage of a credit card takes place in the EXTERNAL world of humans ...shopping at a retail department store and making a credit card purchase. The EXTERNAL accounting transaction gets mapped to the INTERNAL human biology...organic molecule world with Nature's accounting system. Thus we see the CAUSE -->EFFECT as outlined by Herbert Spencer in year 1855. Thus we see many secrets of modern economics. The brain cell WALL --> WALL Street Journal news reports on INSIDER trading ...are about manipulation activities directly INSIDE the brain ....... using bio-computer molecular subroutine instructions to manipulate the brain computer logic unit. For this system to work...the FEDERAL and STATE governments have brain computer programmers that write brain PROGRAM instructions on how to think and behave. Probably most of this okay...since citizens do not care to think ...and need to have their brain VOID filled with some bio-computer instructions. The problem arises when a programming BUG occurs ....and everyone plays dumb ...and nothing is fixed. The entire computer industry ..... never heard of the Base 16 hexadecimal shooting on April 16 at Virginia TECH. Thus, we see the brain.... an organic molecule programmable bio-computer. In the brain cell WALL --> WALL Street Journal newspaper we have the "TALE of 2 COX"
--> University of Wisconsin bio-chemistry pension fund agent DR.COX AND his double-helix parallel Mr.COX of the Securities Exchange Commission. Thus we see mysteries of economics .. Brain cell WALL --> inside the brain ...stock market transactions by symbolic life forms .....bio-computer subroutine ENTITIES that are implanted into the human brain VIA television,etc ...those ENTITIES then make the financial decisions on behalf of the puppet humanoids ...such as those living in puppet theater region of Marinette, Wisconsin that do not realize that 23 chromosome pairs exist and they live in NATURE's genetics war zone. investor ---in + estor --> estor input to ester molecule economic systems using the equation..
ester ...column 4 symbols ...oe -->order entry to the molecule accounting world. Thus we see CLUES ...some pieces to an interesting puzzle.